WILMINGTON, N.C. -- Signs that warn "Beware of Alligators" are a chilling reminder of the danger that lurks at Beau Rivage Golf & Resort. At the tight, tough course, however, gators are a secondary concern. The tee shot on Beau Rivage's signature hole, no. 4, is a 206-yard stress test over water. With homes, bunkers and overhanging trees lining many of the narrow, bending fairways, use of a driver is as perilous as venturing into the wetlands in pursuit of a lost ball. 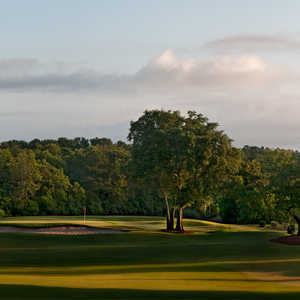 Intimidating water hazards and surprising elevation changes amplify the difficulty at Beau Rivage, which plays to a rating of 72.4 and slope of 138, big numbers for a golf course that measures only 6,709 yards from the back tees. Make no mistake, Beau Rivage is a shot-maker's course that plays long. Those who find the yardage less than daunting should consider a warm-up round from the next closest of the set of five tees. Even at 6,166 yards, Beau Rivage has plenty of teeth thanks to the omnipresent out-of-bounds stakes that separate holes from backyards. But this is not to compare a round at Beau Rivage to dental work. Opened in 1988 and designed by Joe Gessner, the course can be had by those willing to play with patience and prudence. 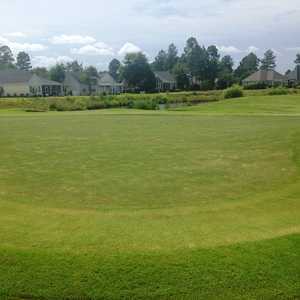 Keep your ball in the fairway, and you're rewarded with a perfect lie on spongy Bermuda grass and a good opportunity to reach the meticulously manicured greens, which are generous, relatively flat and roll at moderate speed. As visitors drive the aging, homogenous stretch of Route 421 leading to Beau Rivage, it's hard to imagine any tract of nearby land fit for a high quality golf course. But the grand, plantation-style clubhouse/hotel that fronts the property is the first indication that Beau Rivage is juxtaposed from its surroundings. The lodge is often populated by those taking advantage of stay-and-play packages that can include add-ons such as meals, massages and lessons. An attractive selling point are meals on the veranda, overlooking the driving range, short-game practice area and one of North Carolina's largest putting greens. 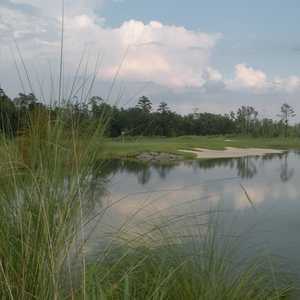 "We're the only stay-and-play in the Wilmington area," said Head Pro Troy Pressnell. "That helps set us apart." Because it is both a wildlife preserve and plays through a housing development, Beau Rivage has some layout quirks. On the front nine, there are consecutive holes measuring 301, 206 and 150 yards, each with a significant tee shot over water and each preceded by a long trek from the previous green. This is not a course for walkers, as anyone can attest after a 600-yard ride from the third green to the fourth tee. The good news for riders is that the carts are new and equipped with state-of-the-art Visage GPS systems. After Beau Rivage's watery trio, the golf course turns conventional with a trio of dogleg par-4 holes, including no. 8 -- a 444-yarder with a fairway that appears wide from the tee but is pinched by bunkers and rough and is actually only 17 paces wide. Beau Rivage favors players who hit a controlled fade. But even those with the preferred shot shape would be ill-advised to get greedy on the four par-5 holes, each of which bend left to right. Even no. 2, at a manageable 515 yards and playing to a wide fairway, is tough to reach in two as the approach is to a downhill green protected by a huge tree, fronted by a deep, yawning bunker and backed abruptly by a stealth water hazard. No. 13 is another reachable par 5 at 492 yards, but trying to hit a blind, undulating fairway that bends sharply around a garden apartment complex requires Fred Funk-like accuracy and a dose of local knowledge. Best advice: Play it point-to-point with three conservative iron shots. So many things make Beau Rivage Golf & Resort memorable, from the sprawling clubhouse and practice area, to the unconventional layout that has no look-alike holes, to the hawks, foxes and alligators that one might encounter. The best holes are the first two and last three, where the fairways are undulating, generous enough to hit driver and mostly visible from elevated tees. The holes serve as an introduction and last reminder of the unique piece of property that has helped draw players since the late '80s. "People are surprised when they come here, expecting a coastal course," Pressnell said. "But it really has the feel of Pinehurst and some of the other courses in the Sandhills."